Last month, Legendary and the Frank Herbert estate announced their intent to bring Dune to both movie and television screens, with all projects to be produced by Thomas Tull, Mary Parent and Cale Boyter, with Brian Herbert, Byron Merritt and Kim Herbert serving as executive producers. It’s interesting that Villeneuve may jump from Blade Runner to Dune, as Ridley Scott did just the opposite in the early ’80s when he dropped out of a planned adaptation of Dune in order to make the original Blade Runner. 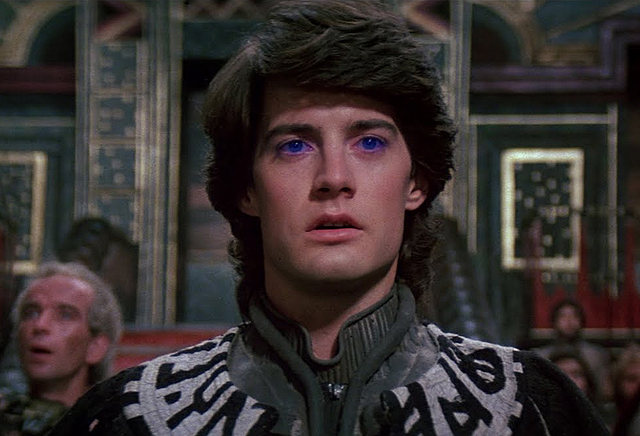 Set in the distant future, Dune tells the story of Paul Atreides, whose family accepts control of the desert planet Arrakis. As the only producer of a highly-valuable resource, control of Arrakis is highly contested among the noble families. After Paul and his family are betrayed, the story explores themes of politics, religion, and man’s relationship to nature as Paul leads a rebellion to restore his family’s control of Arrakis. With a fully realized science fiction universe that spans millennia, Dune has the potential to go as big as Legendary wants to make it. Herbert himself wrote five literary Dune sequels and, beginning in 1999, new Dune novels began being published. Kevin J. Anderson and Brian Herbert teamed to write more than dozen novels that expanded on the Dune universe. How do you feel about Denis Villeneuve making a new Dune movie? Let us know your thoughts in the comments below!